Still grieving over the death of Amma, Ethan receives a gift from her, the box of secrets she always kept from him. But now it’s time to open the box. The history of Amma and everything that brought her to Ethan. 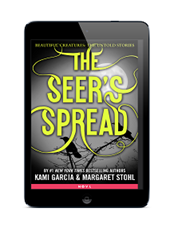 Published July 14, 2015, by Little, Brown Books for Young Readers, The Seer’s Spread by Kami Garcia & Margaret Stohl is the second in young adult paranormal Beautiful Creatures: The Untold Stories series. 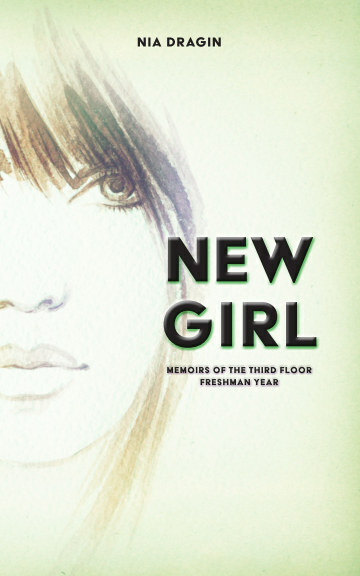 Maybe I’m just expecting something more from these short stories because this is the second one I’ve read that I have found less than fulfilling. Amma was a great character in the series, she’s the warm mother/grandmother that everyone can relate to and imagine, and this novella does capture that. The problem is, once again, that it’s too short. Readers can see Amma as a child, but again, there could be a whole book about Amma and her abilities, how she first discovered the Castors, how she first met Macon. There is so much to Amma than this story reveals and that’s a real let down. There needs to be more explanation. Readers still have no idea how she even came to be in Mitchell Wate’s life, was cards directed her there, what made her go there and be a part of the family. There is still so much mystery about Amma that the Garcia and Stohl failed to explore.